DNA determines much of who we are, but it’s not fixed for life. Our behavior and environment can effect alterations to genes for good or ill. Can meditating affect us at a genetic level? If it weren’t for the rats, I wouldn’t be writing about epigenetics and meditation. Epigenetics is one of those scientific subjects that, after a solid and respectable start, jumped the shark. It burst into the scientific mainstream in the last decade or so with fascinating, even paradigm-shifting, discoveries in how genes operate, offering explanations for mysteries from why identical twins differ in the inherited genetic diseases they develop to how our physical environment and social experiences reach into our DNA, altering the blueprints of our lives. Many of the findings have solid scientific support. Lately, however, studies on the epigenetic effects of meditation have been popping up like dandelions in April, making claims that, unfortunately, rest on shaky science—the shark is well and truly jumped. “The science just isn’t as strong as some people are making it out to be,” said neuroscientist Cliff Saron of the University of California, Davis. Saron is hardly a meditation basher: He co-led a study showing possible epigenetic effects from mindfulness meditation. Let me back up and then return to those rats. 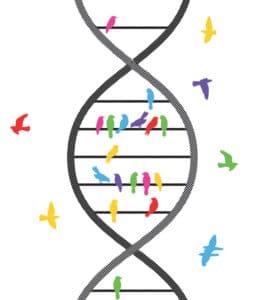 “Epigenetics” refers to changes in DNA that do not alter the four basic chemicals that, strung along the double helix like beads on a necklace, constitute the genetic code. Those chemicals, designated A, T, C, and G, code for the proteins that cells make: dopamine receptors, enzymes like telomerase, and everything else required for life. Unlike alterations that change an A to a C, for instance, or a G to a T, or eliminate letters entirely, an epigenetic change leaves the letters alone. Instead, it slaps on a molecular silencer or a molecular turbo-charger, affecting whether they are able to make the protein they spell out and in what quantities. You’ve almost certainly inherited genes that suppress tumor formation; if they are epigenetically silenced, your anti-cancer defenses are as weak as the starship Enterprise without its deflector shield. You might have inherited a gene that causes schizophrenia; if it is epigenetically silenced, you won’t develop that devastating illness. Epigenetics is a big reason why DNA is not destiny: Just because you have a gene doesn’t mean that gene will be active. If the life that just happens to us exerts epigenetic effects, can activities we choose also exert such effects? Now for those rats. In a breakthrough 2004 paper, scientists led by Michael Meaney of McGill University discovered that how baby rats are treated by mom can, via epigenetic mechanisms, silence genes involved in the rat pups’ stress response. When a rat mother is inattentive to her pups, rarely licking and grooming them, a gene that allows the brain to respond to stress hormones is silenced. That causes production of stress hormones to spike (to make up for the brain’s unresponsiveness); the rat becomes a neurotic mess, freezing when placed in unfamiliar surroundings, jumping like a turbo-charged flea when startled, and chronically flooded with stress hormones. Life experiences such as quality of maternal care, Meaney showed, can reach into DNA and affect gene activation via epigenetics. Nurture had trumped nature. That study launched the scientific search for other experiences with epigenetic effects. In 2009 Meaney’s team found that the brains of people who committed suicide and had suffered abuse as children contained significantly more “be silent!” switches on the gene involved in the stress response—the same gene that was silenced in rats raised by neglectful mothers. Epigenetic silencing seems to impair the stress-response system in people much as it does in rat pups, making it hard to cope with setbacks and adversity, thus raising the risk of suicide. As we go through life, we accumulate epigenetic changes. Both random chance and experiences— with parents, friends, life itself—can reach into our very DNA, silencing some genes and amping up others. Remarkably, the longer identical twins have lived together (presumably sharing more experiences), the more similar they are epigenetically. A 2011 study found that 30 experienced meditators in the three-month “Shamatha Project” meditation retreat had, by its end, significantly greater activity of an enzyme called telomerase, which keeps the protective tips of chromosomes, called telomeres, intact. (Cells with shortened telomeres, according to a prevailing but not unquestioned theory, age faster.) Greater telomerase activity might reflect epigenetic changes that increase the activity of the telomerase gene. A 2012 study of long-term meditators found different patterns of DNA activation, possibly reflecting epigenetic effects, during periods of self-reported “higher states of consciousness” compared to ordinary awareness. A 2014 study led by Richard Davidson of the University of Wisconsin, Madison, found lower expression of genes involved in inflammation and of molecules that activate genes (an epigenetic effect) in 19 experienced meditators after a day of intensive meditation, but not in a control group of 21 non-meditators. Such epigenetic regulation of genes involved in inflammation “may represent some of the mechanisms underlying the therapeutic potential of mindfulness-based interventions,” the researchers concluded. Fifteen experiments that measured epigenetic changes after mind-body therapies such as tai chi and MBSR reported that genes involved in inflammation (particularly those in what’s called the nuclear factor kappa beta, or NF-kB, pathway) were turned down after the therapy, a 2014 review found. That should cause lower levels of chronic inflammation, whose health consequences range from cancer to Alzheimer’s disease. Reduced gene expression is an epigenetic phenomenon (though it can result from non-epigenetic effects, too). A 2017 review of 18 such studies also found support for the idea that mind–body interventions turn down NF-kB. As we go through life, we accumulate epigenetic changes. Both random chance and experiences—with parents, friends, life itself—can reach into our very DNA, silencing some genes and amping up others. These and other studies of meditation and epigenetics come with asterisks, however. Many had no control group. Most had only a few dozen participants (the “higher states of consciousness” paper included merely two). And for every study that finds NF-kB silencing with meditation, another finds no such thing. Bottom line on the epigenetic effects of meditation? “The scientific literature is extremely mixed,” said Julienne Bower of UCLA, coauthor of a 2016 analysis finding that some mind–body therapies can have anti-inflammatory effects, including by switching genes on and off. Nonetheless, most papers gloss over these scientific weaknesses. Overenthusiasm might explain why some researchers fail to use control groups, study only small numbers of people, or otherwise choose methodologies more likely to find an effect. “There is a tension between wanting to say something exciting and being very, very careful, which we should always do as scientists,” said John Denninger, director of research at the Institute for Mind Body Medicine at Massachusetts General Hospital and coauthor of the 2014 analysis I mentioned above. Here’s where I remember those rats. Science has yet to prove there’s “anything there” when it comes to meditation exerting epigenetic effects. But the rats showed that some experiences can do so. Only more, and more rigorous, research will show whether meditation can. In The Telomere Effect, a New York Times bestseller from early 2017, psychologist Elissa Epel—who has researched how mindfulness and other self-regulation programs could affect cellular aging—teamed up with Nobel prize-winning physiologist Elizabeth Blackburn. Together they produced a review of the science surrounding how life habits may lengthen telomeres (the structure at the tip of a chromosome), which are thought to affect the aging process. 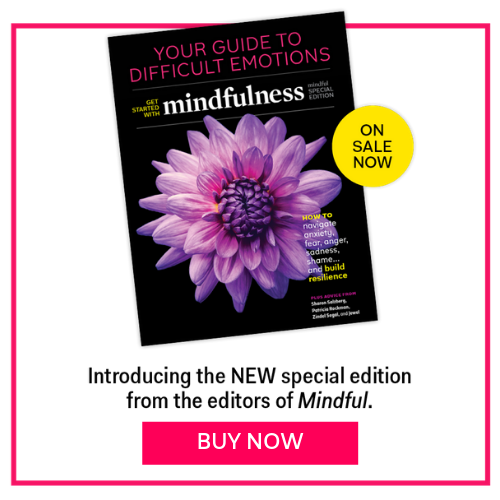 This article appeared in the April 2018 issue of Mindful magazine.